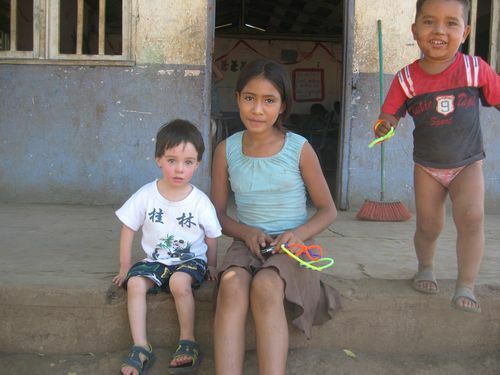 As part of the deal where we stay in Nicaragua - you go and volunteer for a day at a school nearby. Sobering. Uplifting. Humbling. All of the above. We brought art supplies and fabric to do arts and crafts with the kids.